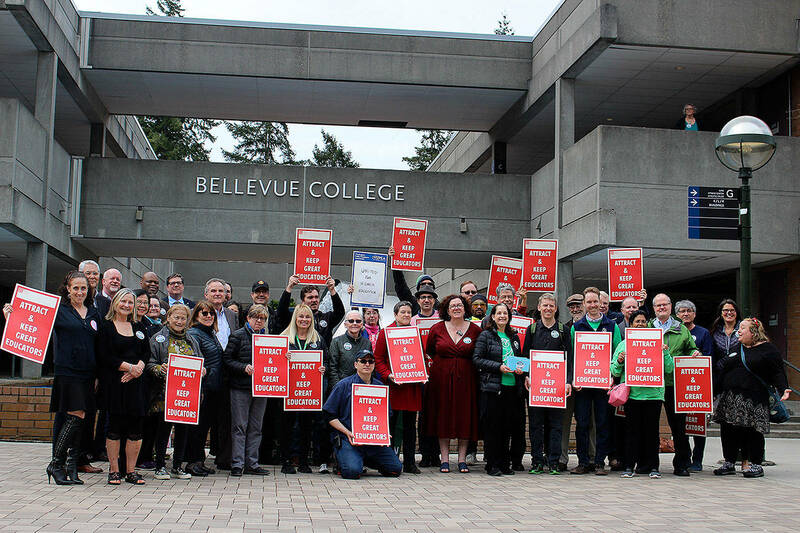 Bellevue College’s public radio station 91.3 KBCS received national recognition in journalism last night for producing a two-piece segment chronicling the experiences of a wheelchair user trying to navigate public transportation in Seattle. “Dorian Wants Transit Policy Towards Disabled Persons to Change” placed third in the prestigious 2017 Katherine Schneider Journalism Award for Excellence in Reporting on Disability contest. First place went to the Chicago Tribune, and second place went to the Houston Chronicle. The production team that worked on the story included Yuko Kodama, news and public affairs director for KBCS; Sonya Green, former news and public affairs director for KBCS and a Knight-Wallace Journalism Fellow 2017; and Mona Yeh, a media producer and communications specialist based out of Los Angeles. The story captured the attention of King County Metro, which led to a meeting between Dorian and their staff. They agreed to continue a dialogue with Dorian about their practices and to also incorporate Dorian’s feedback and video into their training for bus operators. The Katherine Schneider Journalism Award is the only journalism contest devoted exclusively to recognizing excellence in the coverage of people with disabilities and disability issues. It is administered each year by the National Center on Disability and Journalism, which is part of the Walter Cronkite School of Journalism and Mass Communication at Arizona State University. The NCDJ provides guidance and resources for journalists as they cover people with disabilities. Entries are judged by professional journalists and disability experts based on criteria like the exploration of legal or judicial issues, offering balanced accounts of key points of controversy, and going beyond the ordinary in conveying the challenges experienced by people living with disabilities. This year’s panel of judges included “PBS NewsHour” anchor Judy Woodruff, Judge Tony Coelho, a former six-term U.S. congressman from California and the primary sponsor of the Americans With Disabilities Act, and Pulitzer Prize-winning former Washington Post reporter Leon Dash.